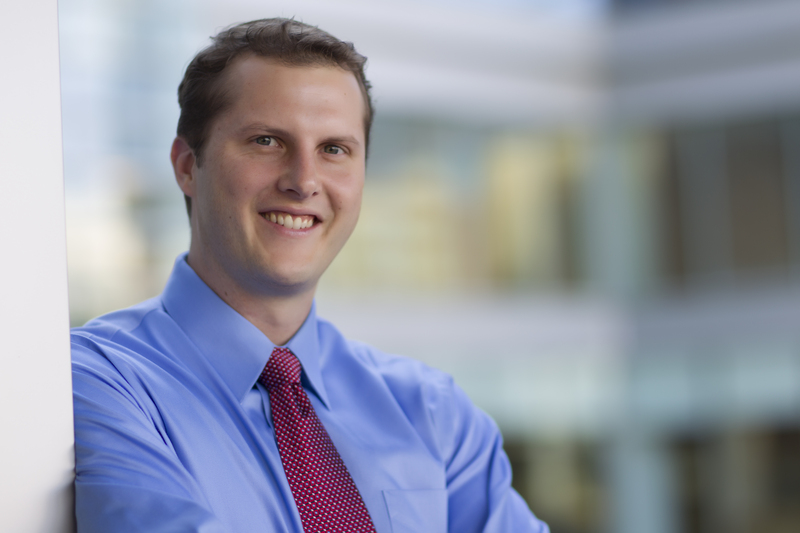 UNC Lineberger’s Chad V. Pecot, MD, published a paper that found inflammatory monocytes, immune cells that build clots to promote wound healing, also make it possible for tumor cells to migrate to other parts of the body. A lung cancer sample showing CD14-positive regions in green, CCR2-positive regions in red, and pan-cytokeratin in aqua. 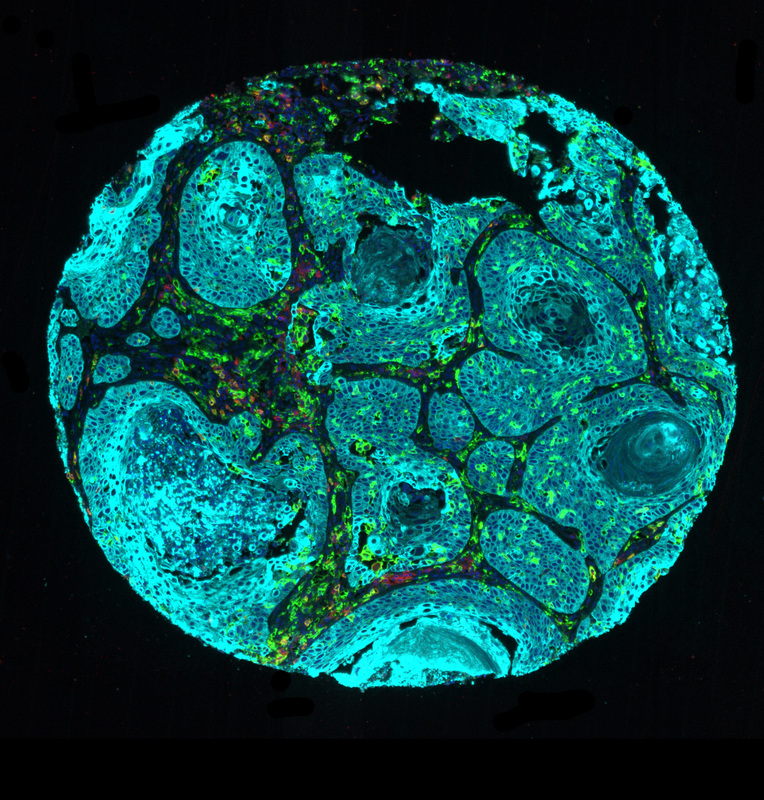 Credit: UNC’s Translational Pathology Lab. Individual researchers were supported by the National Institutes of Health, a Mentored Research Scholar Grants in Applied and Clinical Research award from the American Cancer Society, the Jimmy V Foundation, the University Cancer Research Fund, the Stuart Scott V Foundation/Lung Cancer Initiative Award for Clinical Research, the Lung Cancer Research Foundation, the Free to Breathe Metastasis Research Award, Susan G. Komen, the National Institute of General Medical Sciences, and the National Cancer Institute.